United States sees peaceful demonstrations as a legitimate means of expression and political participation. We note with appreciation a number of recent events during which demonstrators expressed themselves peacefully, and during which security forces exercised restraint in allowing them to do so. I was stunned when I read that statement. I could not believe it. I thought I had misread it. I read it a few times over just to make sure. It dawned on me that the U.S. was, for the first time in decades, standing on the right side of history with Ethiopians, particularly young Ethiopians, who “expressed themselves peacefully”. My mind was reeling. Could it be a hoax? What is going on?! Is the U.S., after the Obama, Bush and Clinton years of diplocrisy (diplomatic hypocrisy) , finally standing on the right side of history in Africa by standing with peaceful Ethiopian protesters demanding respect for their human rights? Don’t people realize what this means not only for Ethiopia but also all of Africa? This is earth shaking, unprecedented, unheard-of. I never thought in my wildest dreams that the U.S. would stand up for American values in Africa. After 8 years of Obama’s bombastic “right side of history” rhetoric, I had lost all hope. Truth be told, I thought the Trump administration would be the last to stand up, speak up and put their aid money where their mouth is in the cause of human rights in Ethiopia. I could not have been more wrong. What more could I say!? Congress shall make no law… abridging the freedom of speech… or the right of the people peaceably to assemble, and to petition the Government for a redress of grievances. The Trump administration chose to make a stand for American values in Ethiopia by insisting in clear and unambiguous language that the T-TPLF regime must respect the right of peaceable assembly of the Ethiopian people guaranteed under the country’s constitution and international human rights conventions. Having taught college courses on the First Amendment and American civil liberties for 30 years and practiced constitutional law (and celebrated the 800th anniversary of the Magna Carta with my students in 2015, arguably at the only institution in America to do so) in the state and federal courts of the land for 25 years, the statement issued by the U.S. Embassy brought tears to my eyes. 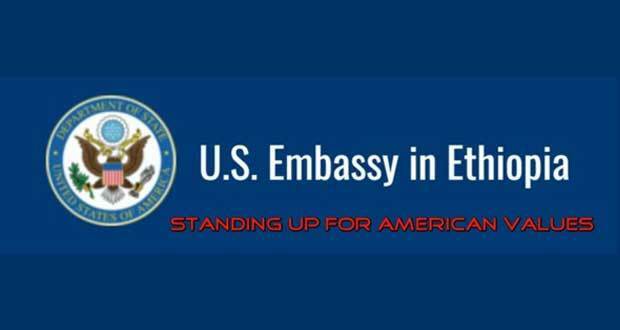 I suspect for most Ethiopians and others who have not had the great honor and privilege of fighting for American civil liberties, the Embassy statement of solidarity with peacefully protesting Ethiopians probably means nothing. There may even be some cynical enough to dismiss it as another political ploy. What the U.S. Embassy did in Ethiopia by issuing that statement is momentous, historic, epochal, pivotal! I am joyous to see America stand up for its values where it counts, among the oppressed peoples of the world, and not sell its values for pretended counterterrorism partnerships. In the end, America is great not because of its economic and military might but singularly because of its ideals of liberty enshrined in the Bill of Rights. True, realization of those ideals has been a hard work in progress for the past 226 years, and shall continue so long as We the People are willing to pay the price of eternal vigilance for our liberties. I must confess that I have had some unfriendly exchanges with the U.S. Embassy during the Obama and previous administrations. In 1997, I successfully petitioned to the U.S. Attorney General’s office and the Office of the Inspector General of the State Department to investigate certain questionable practices at the consular office in the U.S. Embassy in Ethiopia. I have carefully studied and analyzed the Wikileaks cablegrams from the Embassy and learned much from them. I have been somewhat critical of Ambassador Donald Yamamoto (2006-09) for not pressuring more intensely the ruling regime in Ethiopia to respect human rights. But he was constrained by the State Department officialdom in what he could do. In 2009, Yamamoto wrote, “If we are to move them [ruling regime], though, we need to deliver an explicit and direct (yet private) message that does not glad-hand them. We must convey forcefully that we are not convinced by their rhetoric, but rather that we see their actions for what they are… We should [assure them]… that we are not trying to promote regime change, and that we are delivering a similarly explicit message of the need for change to opposition groups.” Yamamoto understood that so long as the T-TPLF regime remained in power, there will always be a famine not only of food but also of democracy, human rights, rule of law, accountability, transparency and vision. Ambassador Yamamoto wanted to do the right thing, but his superiors would not allow him. I was also somewhat critical of Ambassador Donald Booth, Yamamoto’s successor, for his apparent cozy relationship with the ruling regime in Ethiopia. I want to publicly recognize and commend Ambassador Raynor for living up to his promise of “advocating” for “full respect of the rights guaranteed under Ethiopia’s constitution, as well as for reforms that strengthen democratic institutions.” Less than two months into the job, Ambassador Raynor did exactly what he pledged to do before the Senate Foreign Relations Committee. I like a man of his word. Is is said action speaks louder than words, but Ambassador Raynor’s words are action. There is a saying that “An ambassador is an honest gentleman sent to lie abroad for the good of his country.” How about an American ambassador who is an honest gentleman sent abroad for the good of his country and stands up for American Values First?! Guiding all of our foreign policy actions are our fundamental values: our values around freedom, human dignity, the way people are treated. These are our values… not our policies… Policies change… our values never change. Now, I have my answer. Thank you very much! We hang on to our values, even if they seem at times tarnished and worn; even if, as a nation and in our own lives, we have betrayed them more often that we care to remember. What else is there to guide us? Those values are our inheritance, what makes us who we are as a people. … If we aren’t willing to pay a price for our values, if we aren’t willing to make some sacrifices in order to realize them, then we should ask ourselves whether we truly believe in them at all. Make no mistake: history is on the side of these brave Africans, and not with those who use coups or change Constitutions to stay in power. Africa doesn’t need strongmen, it needs strong institutions… History offers a clear verdict: governments that respect the will of their own people are more prosperous, more stable, and more successful than governments that do not. In August 2014, Obama was not “hanging on to American values”, he was hanging out and fist bumping with the African “strongmen” who used coups, stolen elections and subverted their constitutions to cling to power, including Hailemariam Desalegn Boshe (Ethiopia), Paul Biya (Cameroon), Blaise Compaoré (Burkina Faso), Teodoro Obiang Nguema Mbasogo (Equatorial Guniea), Paul Kagame (Rwanda), Joseph Kabila Kabange (DR Congo), Idris Deby (Chad), King Mswati III (Swaziland), Yoweri Museveni (Uganda), Denis Sassou-Nguesso (Rep. of Congo) and many others. To add insult to injury, in 2015, Obama went to Ethiopia and said the ruling regime that claimed 100 percent control of the “parliament” was “democratically elected”. So much for Barack Obama’s American values! Ambassador Raynor has considerable foreign service experience. Since 2010, he has served as the Assistant Chief of Mission in Afghanistan, Ambassador to Benin and as Executive Director in the State Department Bureau of African Affairs. As I have argued on numerous occasions, there is a time to criticize and a time to give credit. This is the time to give Secretary Rex Tillerson, Ambassador Michael Raynor and the Trump Administration full credit for standing up with the oppressed people of Ethiopia. Thank you Ambassador Michael Raynor and Secretary Rex Tillerson! History will remember you once stood and walked with the oppressed people of Ethiopia, on the right side of history. P.S. I cannot get over the irony that Barack Obama should talk about the right side of history for eight years and Donald Trump walk the talk of the right side of history in eight months!